SDK Green Acres Homes is a garden-style apartment complex with 212 apartments and town homes nestled on the edge of historic Kingston. With its park-like setting along the Susquehanna River. 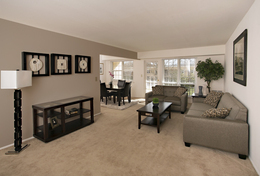 SDK Green Acres Homes is a picturesque and charming place to live. On site, we have a team of professionals that strives to meet your every request, ensuring that you live in comfort. It is a top-notch complex that offers the highest quality of life for its residents, boasting stunning landscaping, a newly renovated gym and swimming pool, and community centre. It is ideally situated in a well-established, quiet residential neighbourhood with close proximity to employment hubs, medical facilities, recreational and shopping amenities, and community parks. Copyright © 2019 SDK Green Acres Homes. All rights reserved. Equal Housing Opportunity Provider.